School Holidays, the clean house survival guide…. 5 Natural Kitchen Cleaning Tips You Need to Know! The truth about carpet protectors – do they really work? The general assumption with carpet protectors is that they do protect carpet, and the decision to invest in this protection is usually a financially based one. However, the real pre-purchase question should probably be- does it really work? 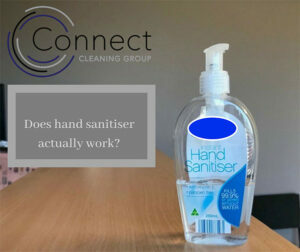 How hygienic is your workplace washroom? The extent to which fellow workers follow the unwritten, yet golden rules of public toilet usage is quite important when you consider that the average person will spend one third of their lifetime at work. While we hope and trust everyone practices the basics, like flushing and handwashing, washrooms of any kind are still breeding grounds for all manner of bacteria, viruses and germs. Did you know you can purchase all your Hygiene and paper consumables from TFC Services? We supply and provide a wide range of products such as toilet paper, interleaved hand towel, paper roll towel, liquid and foam soap, and all relevant dispensers. TFC Services provides a full range of Commercial Grounds Maintenance Services across the Newcastle, Hunter Valley, Port Stephens and Lake Macquarie areas. Is your electrical appliances in your work place tagged and up to date? Do you know what your obligations within the work place are regarding your testing and tagging? TFC Services provides testing and tagging services for all plug-in electrical appliances and equipment to ensure your workplace is compliant with Australian Standard AS3760-2010. We have recently purchased a new Water Fed Pole Window Cleaning System that can reach the height of a third floor building and this gives us access to clean many high areas including signage and windows. By using Deionized Water through a filtration system, we are able to clean windows streak free without the use of any chemicals.